Good morning and welcome to the World Markets Live blog. 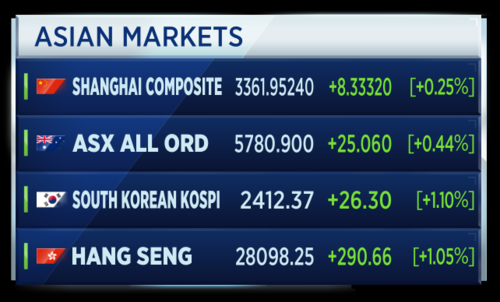 Asian stocks post solid gains as investors gear up for the Fed and BOJ later this week. UK Police question two suspects over suspected links to the attack on the London tube, but the government lowers the threat level from 'critical' to 'severe'. Will the US stay in the Paris accord? Conflicting messages from the Trump administration as the White House denies a change in policy, while Secretary of State Tillerson suggests it is open to staying in the climate change pact. Three storms rage in the Atlantic, with Hurricane Maria forecast to rapidly strengthen and aim for the islands devastated by Irma. Asian shares have gained on Monday as investors anticipated clues on the direction of monetary policy from central banks later in the week. 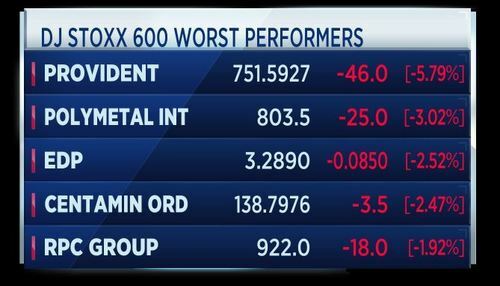 In Australia, the S&P/ASX 200 gained nearly 0.5 percent. Greater China markets are also positive. The Hang Seng Index rose 1.05 percent. On the mainland, the Shanghai Composite advanced 0.25 percent and the Shenzhen Composite added 0.506 percent. Japan markets are closed for a public holiday. 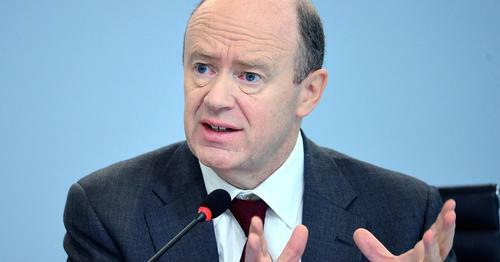 Deutsche Bank CEO John Cryan says market volatility may actually be higher than a lot of people think. 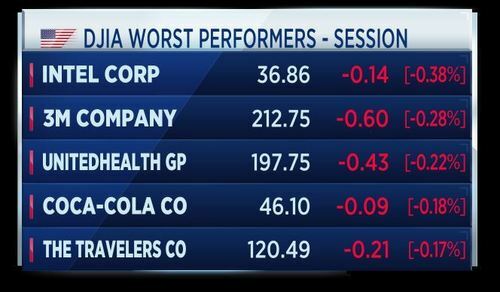 A number of leading stocks have fallen quite a long way. So if you were holding certain stocks that have been subject to big price movements you might think. Wait a minute. There's a lot of volatility here. It's just not being priced into the market. Cryan: Relatively low volume remains in markets. Hiking interest rates could mean a hit to global growth. That's among the warnings in the latest quarterly report from the Bank for International Settlements. The central banking group calls the mix of low inflation and increasing global growth the "trillion dollar question." It also says global debt may be massively under-reported by around $13 trillion dollars. What the BIS is saying is there are bubbles out there created by central banking action. Prime Minister in an editorial published in the New York Times ahead of this week's U.N. General Assembly in New York. Following Friday's missile over Japan, tensions with North Korea are expected to loom large over proceedings. The gathering will also see Donald Trump's first address to the 193 member body. U.N. Secretary General Antonio Guterres says that "the solution can only be political". Over the weekend the U.S. president referred to the North Korean leader Kim Yong Un as "rocket man". Goldman Sachs has raised the rating on French utility firm EDF to buy from neutral. The price target for the company stock raised by Goldman Sachs to 11.5 euros from 9.7 euros. This week politics and central banks stay center stage. On Tuesday and Wednesday Fed official meet to discuss the next unwinding steps. While on Thursday it's the Bank of Japan's turn in the spotlight. On Friday U.K. Prime Minister Theresa May gives a much anticipated Brexit speech in the Italian city of Florence. And at the weekend, Germany goes to the polls. 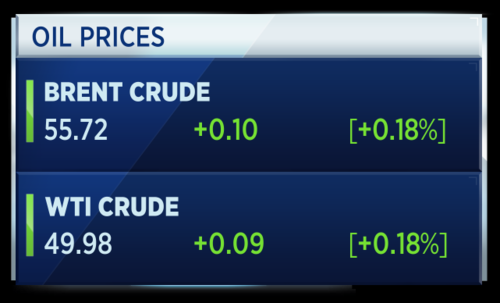 U.S. crude oil futures are scraping higher to the $50 level. This after refineries return to higher levels of production following the impact of extreme weather. Oil refineries across the Gulf of Mexico and the Caribbean were restarting after being shut down due to hurricanes Harvey and Irma which both battered the region in the past three weeks. The latest was Royal Dutch Shell's 325,700-barrel-per-day joint-venture Deer Park, Texas, which was restarting on Sunday. "Right now, he explained, many finance jobs require people to act like robots, so they'll easily be replaced by robots." 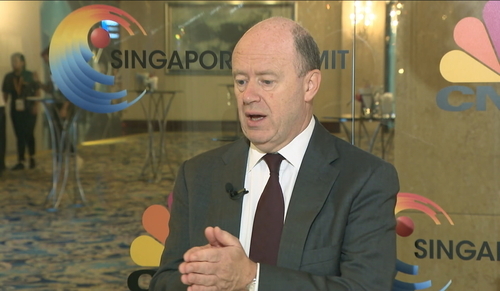 CNBCDeutsche Bank CEO John Cryan offered insight into how the financial world will change from automation and other technology. Trump's top economic adviser, Gary Cohn, will brief major international partners on the administration's stance on the Paris climate accord, White House officials have said. This follows mixed signals over the weekend that the U.S. was exploring ways to remain in the pact. 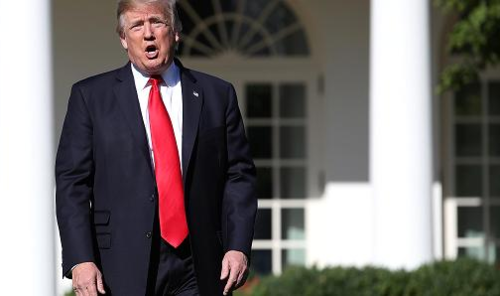 After a summit on the climate agreement, the the White House issued a statement saying it will stick with plans to withdraw from the deal. But Secretary of State Rex Tillerson and national security adviser, H.R. McMaster, later said the US could stay in the climate accord under the right conditions. U.S. President Donald Trump on September 15, 2017 in Washington, DC. Why bring this back onto the table at this point. Is it because the Trump Administration has so far failed to achieve any of its stated election reforms? 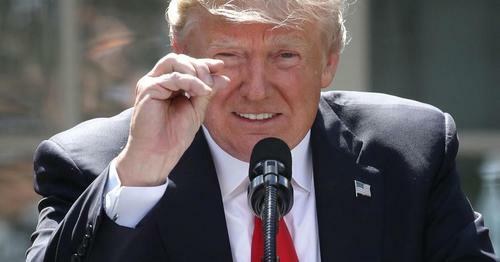 Geoff is posing the question as to why the White House appears to be dragging the Paris climate accord back into the front page of its agenda. For more on the story, click through on the link below. CNBCA WSJ report suggested Trump was backing away from his pledge on the Paris accord, but the White House shot it down. Chinese new home prices rose +0.2 percent month-on-month in August from July. That equates to an 8.3 percent rise on August 2016. The data was viewed as evidence that the rampant Chinese property market is starting to cool. Property-related stocks in China rose in trade on speculation that the apparent moderation of price growth will prevent Beijing authorities stepping in. 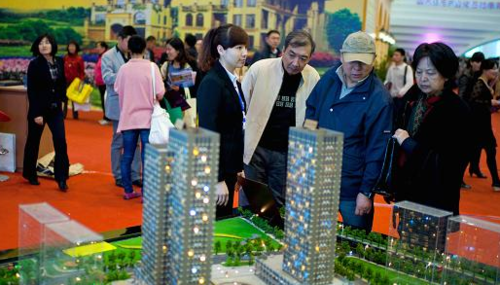 Consumers look at property models displayed at a real estate fair on April 8, 2012 in Qingdao, China. Reuters has a flash stating that U.S. B-1B bombers and F-35 fighters are conducting drills over the Korean peninsula. They cite the Yonhap news agency which operates out of South Korea. F-35 aircraft aboard the USS America, an amphibious assault ship for the Navy. 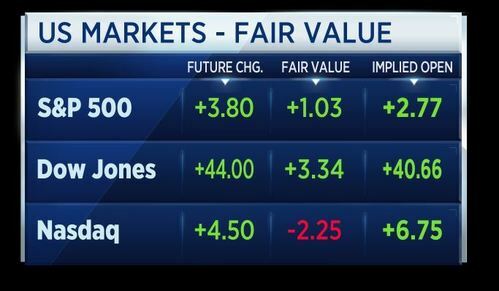 European markets are set to open higher in around 30 minutes time if the futures are an accurate guide. 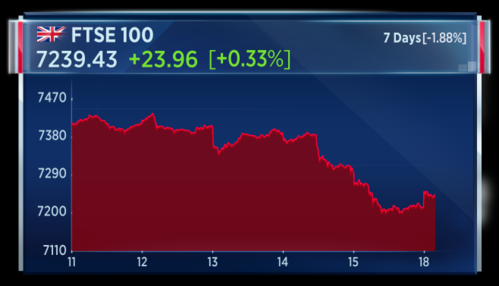 Asian shares which are now ending their Monday session have bounced back to hit decade highs on Monday. 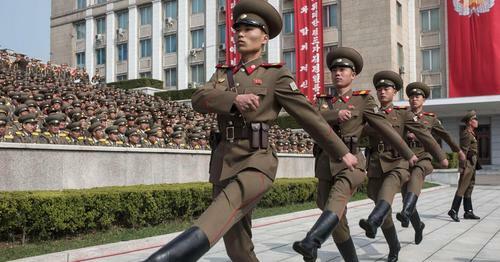 South Korea's benchmark led the gains, brushing aside concerns of escalating tensions in the Korean Peninsula. Portuguese debt has returned to the status of investment grade. 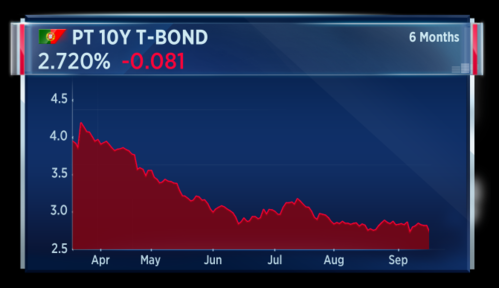 The 10-year yield has dropped sharply on the re-rating. Print taken at 7:31 a.m. London time. Japanese Prime Minister Shinzo Abe is reportedly considering calling a snap election as early as next month. Abe is said to be keen to take advantage of a recent recovery in his approval ratings, amid disarray in the main opposition party. He is expected to make a decision after returning from his current trip to America. 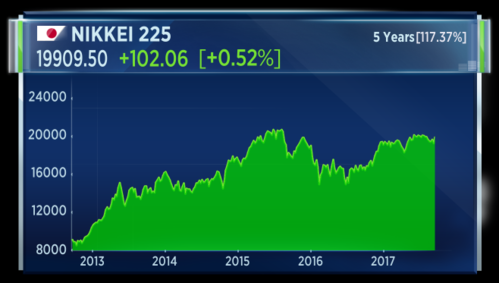 The Nikkei is closed today but here is a chart of the 5-year performance which coincides with Abe's second spell as Japanese leader. 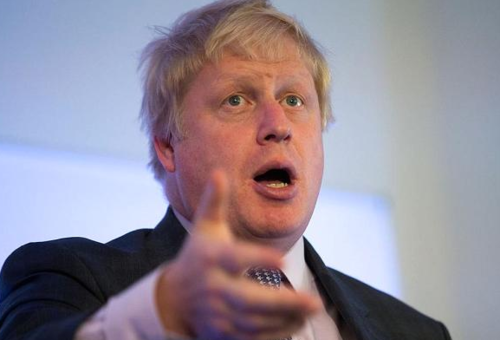 UK cabinet members have accused British Foreign Secretary Boris Johnson of "back-seat driving" on Brexit after he set out his own plan for leaving the European Union. In a column for the Telegraph newspaper, Johnson said the country will take control of roughly £350 million pounds per week after Brexit. That figure is hotly contested and even described by many as an outright lie. His comments have been criticized as undermining Prime Minister Theresa May ahead of a crucial speech she is due to deliver in the Italian city of Florence at the end of this week. U.K. Foreign Secretary Boris Johnson. It is a strong bias to buying in Europe at the open. Italian Industry Minister Carlo Calenda said the Goverment could intervene on Telecom Italia, using its so-called "golden power." Under this clause, the Government must be made aware of any change in the ownership of strategic companies. Italian authorities are currently reviewing whether French media group Vivendi followed legal obligations when it built up a stake in Telecom Italia. Ryanair cancelled 82 flights on Sunday after admitting it had "messed up" the planning of its pilots' holidays. The budget airline said on Saturday that it would cancel 40-50 flights every day for the next six weeks. Marketing officer Kenny Jacobs said affected customers with bookings up to 20 September had been informed. BAE Systems is benefiting from a deal with Qatar to buy 24 Typhoon jets. That likely to peeve neighboring Middle East countries. 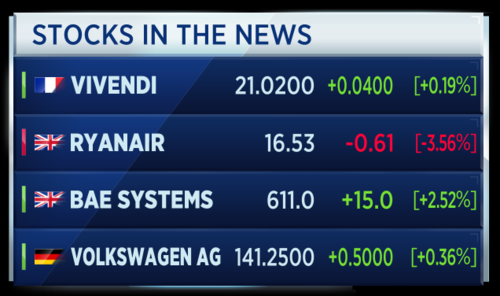 Volkswagen comments out over the weekend admitting that the company was too slow to move from diesel to electric solutions. French energy company EDF has been trading up in early activity after Goldman Sachs raised its price target on the stock from 9.7 euros to 11.5. Goldman Sachs also increased its rating for EDF from 'neutral' to 'buy'. Green across Europe. 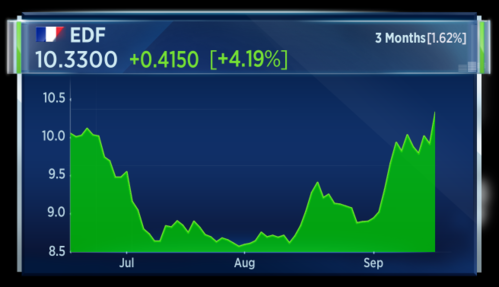 The Portuguese index is especially strong, already on track for the biggest one day gain since mid-July. That snippet extracted by Reuters. 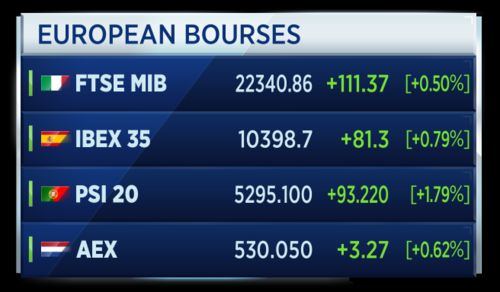 European equity markets open in the green, as investors worldwide gear up for the Fed and BOJ later this week. 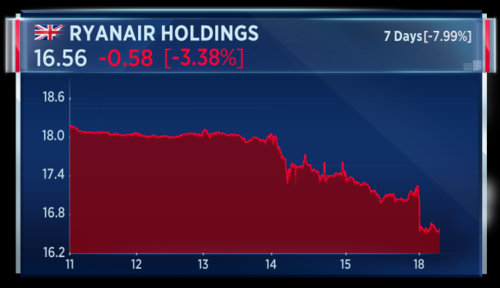 Ryanair shares fall after the airline says it will cancel up to 50 flights a day until the end of October, disrupting thousands of passengers. EDF shares pop hard as Goldman Sachs re-rates the company to a "buy". Shares in Hiscox fall as the UK insurer warns this will be an expensive year for covering catastrophes, as three storms rage in the Atlantic, following in Irma's devastating track. The international community must enforce sanctions on North Korea. That's the message from the Japanese Prime Minister in an editorial published in the New York Times ahead of this week's U.N. General Assembly in New York. Meanwhile any thoughts of dealing with North Korea by force should be dismissed according to one former U.S. military veteran. CNBCDecorated veteran Daniel Davis says he's "concerned" the U.S. is not backing down from threat of military action against North Korea. HSBC has revised its sterling forecast in the face of a more hawkish BOE and what it calls, cyclical forces. 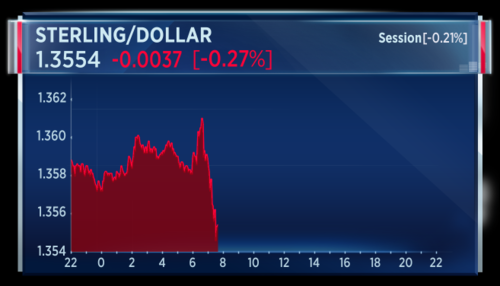 The bank now sees the pound at $1.35 at year end. For the end of 2018, HSBC has the pound at $1.26 and 95 pence per euro. Attorney Michael Cohen, one of President Trump's closest business advisers, will testify before the Senate Intelligence Committee this week. Cohen says he doesn't know whether it will be a closed or public session. This as investigations into Russian political meddling heats up. 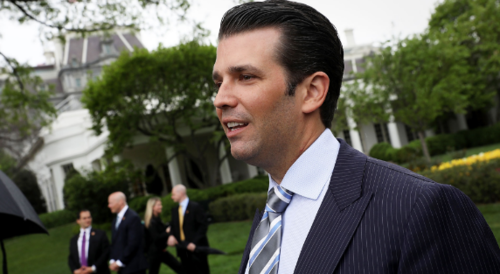 Donald Trump Jr. testified earlier this month. Is someone in (or outside of) Russia standing up to Vladimir Putin? • A spate of hoax bomb threats over the past week has prompted a series of mass evacuations across Russia. The threats appear to be aimed at undermining one of Putin’s main political assets – a reputation for competent security policy – in advance of the 2018 elections. • The hoaxers have remained anonymous through the use of online telephony programs, and the Kremlin has stated it believes they have come from outside Russia. The inability of the security services to identify the culprits will be seen as a major embarrassment. • Over 450 ‘targets’ – including schools, train stations and shopping centres – have been threatened and over 150,000 people evacuated. Despite the scale of the hoaxes, they have received relatively little coverage on state television, a signal that the authorities are unsure of how to react and reassure the public. • While Putin’s re-election next March is still all but inevitable, a number of events have demonstrated increasing public frustration with the Kremlin. If Putin loses his reputation for competence among the electorate, there is a strong possibility of a severe public backlash and an increase in protest activity and civil unrest. Rebecca O’Keeffe, Head of Investment at Interactive Investor says the era of Quantitative Tightening (QT) could well be ushered in within 48 hours. Central banks have underpinned equity market valuations since the financial crisis, with excess liquidity and low interest rates both providing the stimulus and the foundations for higher valuations. What global central banks and in particular the Federal Reserve does next is therefore hugely important for investors. Wednesday’s decision won’t see interest rates rise, but there is a very real possibility that the Fed will at last initiate the process of reducing the size of their bloated balance sheet. The Fed have already set the parameters for a slow and steady approach via reduced reinvestment and are keen to do so in a manner that minimizes the potential for disruption to financial markets. However, with $4.5 trillion dollars of assorted Treasury and agency securities currently on the Fed’s books, there is clearly scope for the market to get spooked at some point about the imminent withdrawal of excess liquidity, especially if other central banks were to follow their example. 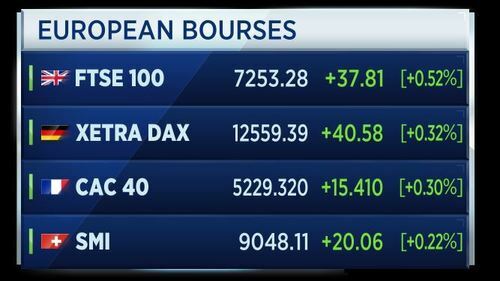 The FTSE 100 is bucking its recent trend to move higher in the morning session. Recent sessions have seen the index lose value on average as it felt the pressure from a rising pound. In Germany, the far-right Afd party could take third place in Sunday's general election. The Afd recently caused controversy bty claiming that there shoudl be no shame in celebrating German soldiers who took part in the second world war. A poll released by the Bild newspaper shows support for the Afd at 11 percent, followed by the far-left Linke at 10 percent. 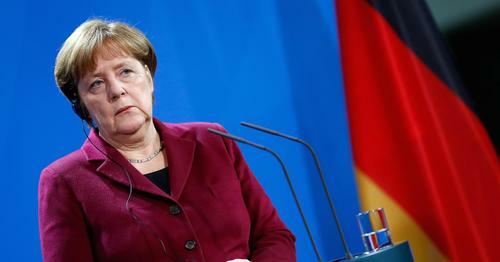 The poll of polls below shows a strong lead for Chancellor Angela Merkel's CDU party. Bitcoin is back in rally mode following last week's sell-off. The digital currency slid below the three-thousand dollar mark when China banned "independent coin offerings" and forced a number of key bitcoin exchanges to halt trading. However, Bitcoin has made a positive start to the week and is currently trading around eight percent higher in today's session. Barclays has revised its Bank of England forecast and now tips a rate rise in November this year. It previously expected no change to BOE policy. It has been on a strong run but gold is not winning the popularity contest in September. 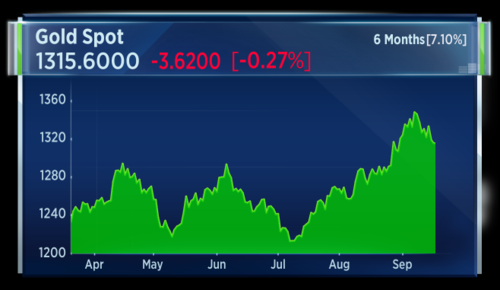 In a note to clients two weeks ago, Goldman Sachs commodities analysts wrote that gold prices are being supported not solely by North Korea-related tensions, but more saliently by uncertainty surrounding President Donald Trump and political drama. However, this sentiment is likely to subside, the note said, which would not be supportive of gold. It seems that may have been the case. Ryanair has cancelled 82 flights on Sunday after admitting it had "messed up" the planning of its pilots' holidays. The budget airline said on Saturday that it would cancel 40-50 flights every day for the next six weeks. Marketing officer Kenny Jacobs said affected customers with bookings up to 20 September had been informed. Shares in Ryanair are almost 8 percent lower over a seven day period. CNBCPolls in Germany point to Angela Merkel's re-election as German chancellor in a general election in less than a week's time, but speculation is mounting over which party could join her conservative Christian Democrats. Euro zone inflation rose by 1.5 percent from a year earlier in August. That data release confirming earlier flash estimates. The ECB maintains an annual inflation target of 2 percent. The main driver was energy, with prices across the euro zone rising 4 percent. Maritime company DP World Limited has acquired Dubai Maritime City and Drydocks for a total cash consideration of $405 million. This is a combination of a purchase consideration of $180 million and a capital injection of $225 million. The deal is expected to close before the end of the first quarter of 2018. DP World expects the deal to be earnings accretive from the first full year of consolidation. North Korea says the UN sanctions resolution is a hostile act aimed at stifling average people's lives, according to a report by KCNA. A spokeswoman for British Prime Minister Theresa May says Foreign Secretary Boris Johnson and May's top team of minister are united behind the government's plan for Brexit. The spokeswoman says May values the contributions of all of her cabinet colleagues and that Johnson's views are well known. 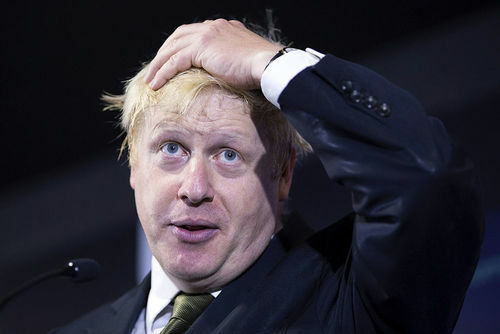 The comments come after Johnson penned an article about Brexit for The Daily Telegraph, which repeated the disputed claim that leaving the EU will free up £350 million a week for spending elsewhere. The article has been criticised as divisive and undermining May's leadership. WABCO is consolidating its operations in the North American commercial vehicle market by buying out Meritor from its joint venture with WABCO. WABCO will spend $250 million to buy out Meritor. The deak us expected to close by October 1st. WABCO will continue to use Meritor as a distributor of some of its products in Mexico, the U.S. and Canada. Meritor will use proceeds from the deal towards its strategic priorities, which include paying down debt, funding investments and repurchasing shares. 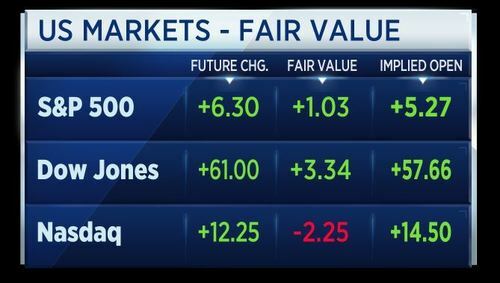 U.S. stocks markets look set to extend last week's gains rather than sell off, according to future values. All eyes are turning towards the Fed after the Bank of England's move to a hawkish stance last week, according to the latest cross asset monitor report from Commerzbank. A more hawkish tone in the BoE minutes saw Gilt yields skyrocketing last week. Stronger than expected US CPI data and some progress on the US tax reform pushed US rate hike probabilities for December higher. Against this backdrop, markets eagerly await how many of the twelve FOMC members that in June were still in favour of another rate hike this year are still seeing one. If the rate outlook (four until the end of 2018) remained unchanged, it is likely that equities will also suffer after performing very well last week. Last week’s disappointing US macro data in combination with a very bullish AAII bull-bear index might then easily bring up fears of a policy mistake – despite continued inflows to equity funds. The price for digital currency bitcoin has recoverd by around $1,000 since hitting a low on Friday. Here's a write-up of what is moving the price. 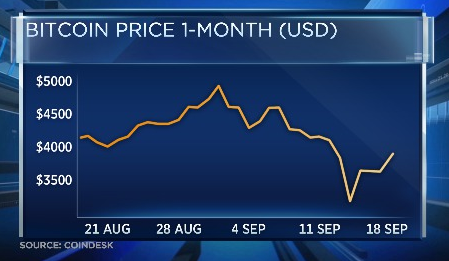 The price for the digital currency bitcoin continues to recover after suffering a massive drop last week. 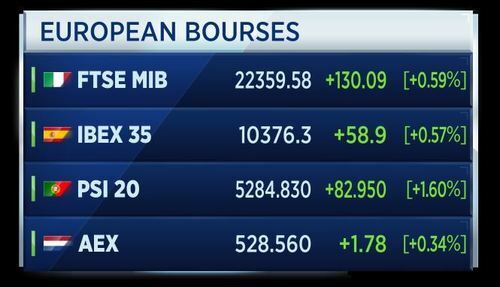 European markets remain stronger today. 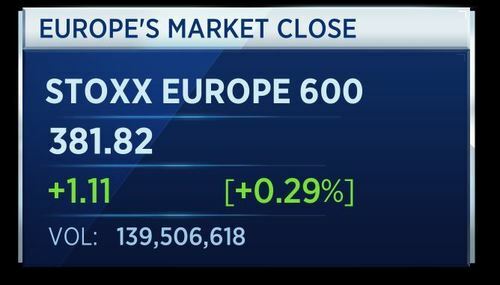 The Stoxx 600 is up around 0.32 percent so far today. Here's how the individual European markets are performing. Russian finance minister Anton Siluanov says the government approves plans to raise excise duties on fuel from January 1 and July 1 each time by 0.5 roubles per litre. Siluanov says the state budget will receive 40 billion roubles in additional revenue from these higher duties on fuel. The NHC says Hurrican Maria is headed for the Leeward islands, is strengthening and is expected to become a major hurricane later today. The hurricane is about 120 miles east-southeast of Dominica, with maximum speeds of 110mph. Industrial services company Team Inc announces CEO Ted Owen has resigned. Owen has served as CEO since December 2014. Team says Gary Yesavage is appointed interim CEO as it searches for a permanent replacement. Is Angela Merkel's victory in this weekend's election certain? Polling data suggest so, but her real test will come after the election, according to CNBC's Holly Ellyatt and Annette Weisbach. Polls in Germany point to Angela Merkel's re-election as German chancellor in a general election in less than a week's time, but speculation is mounting over which party could join her conservative Christian Democrats. 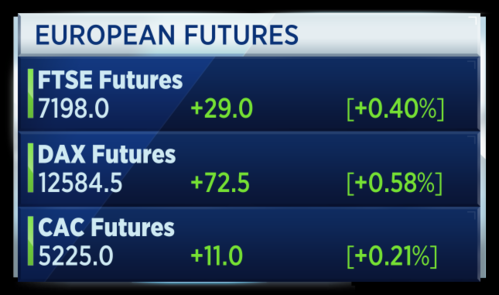 Less than an hour until the opening of U.S. markets and the futures predict stocks will extend last week's gains and open higher today. Speaking in New York, the French foreign minister says the Kurdish-Iraq referendum is inappropriate and calls for talks between Baghdad and Erbil. The minister also says the Iran nuclear deal must be maintained to avoid nuclear proliferation and add that talks could take place to improve the deal. The minister says if the deal collapses, it could encourage Iran's neighbours to seek nuclear weapons. President Trump's top economic advisor Gary Cohn says he reaffirmed the president's position on the Paris climate deal in a meeting with ministers. Speaking in New York, Cohn says his meeting was constructive and he removed any confusion about the U.S. position on the climate deal stemming from the weekend's meeting in Montreal. 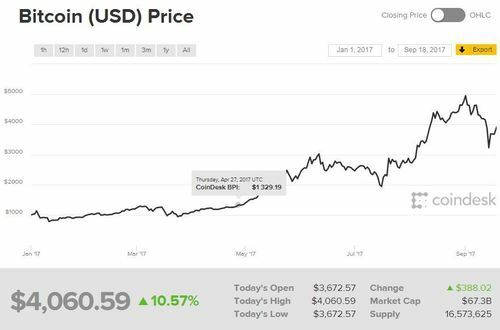 The cryptocurrency bitcoin has crossed back above the $4,000 boundary, according to Coindesk. 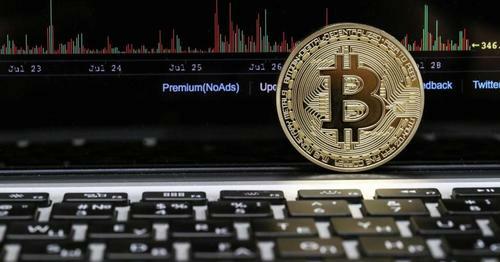 Bitcoin's price fell sharply in recent weeks to as low as around $2950 on Friday. 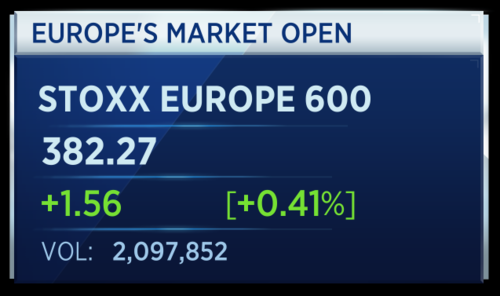 U.S. markets are now open, moving higher at the open and extending recent gains. 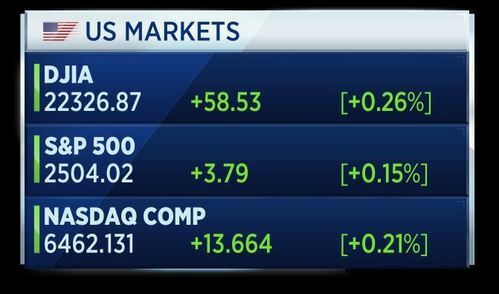 The Dow, S&P and Nasdaq all hit fresh record highs today following the opening. 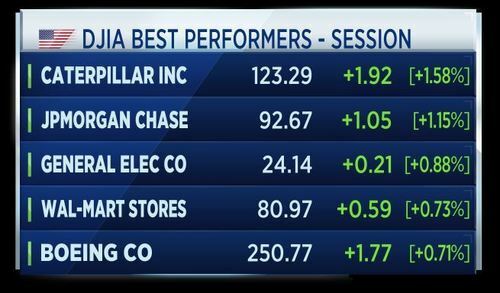 Here are the best performers on the Dow. President Trump says the United Nations has not reached its full potential due to bureaucracy and mismanagement. Trump says the U.S. is not seeing result in line with its investment in the UN. He says that each peacekeeping mission should have defined goals and that no member state should shoulder a disproportionate share of the burden. He adds that the UN should be beholden to the ways of the past which are now working. He adds that he is confident that the U.S. and UN can work together and champion reform then the UN will emerge stronger and more effective. This comes as the UN General Assembly begins in New York. U.S. prosecutors are to open a criminal probe into whether or not Equifax executives violated insider trading laws, Bloomberg reports. This comes after data held by Equifax on 143 million customers was breached in a cybersecurity attack. 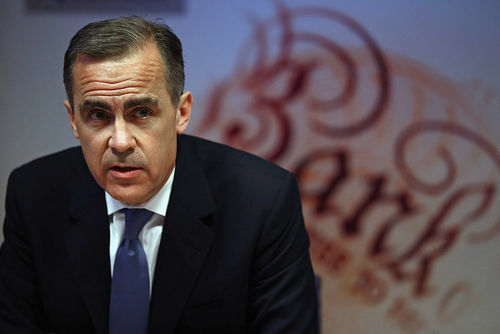 The Bank of England's governor Mark Carney restates the monetary policy committee's majority view that some withdrawal of stimulus is likely to be needed in the coming months if slack continues to be run down. He predicts that Brexit is likely to be inflationary, and the central bank has to "move in order to stand still" as global interest rates are rising. He adds that any rate hikes are expected to be gradual and limited. 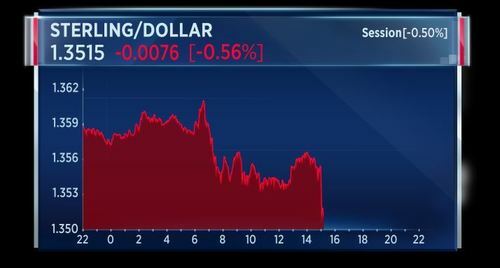 Sterling has dropped against the dollar and the euro to session lows after Mark Carney's latest comments that rate hikes will be "gradual and limited." European markets finished the first session of the week up 0.29 percent. 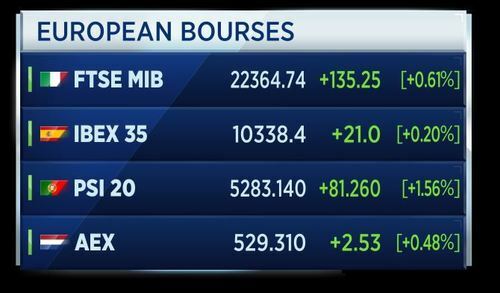 Here's how the individual European bourses performed during the Monday trading session. 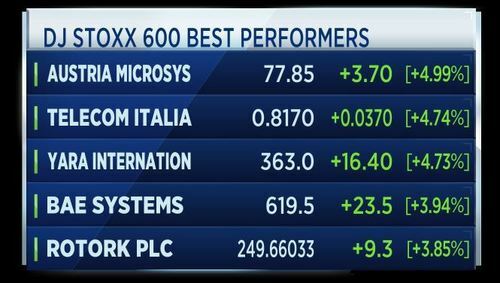 These are the best and worst performing stocks of the session in Europe. We'll close the blog there. Thanks for reading and join us again tomorrow.